A new form of an old treatment for rosacea is getting extraordinary results. It’s based on azelaic acid, a product that sometimes gets good results in treating rosacea and sometimes doesn’t. The new foaming formula, however, may be exactly what is needed to make azelaic acid more effective for more people who have rosacea. Azelaic acid neutralizes free radicals that are released, when the skin is exposed to enough UV rays of sunlight to trigger rosacea. Other names for azelaic acid include Heptanedicarboxylic acid and Lepargylic acid. It is also known by the brand names Azelex® Cream and Finacea® Gel. Other skin creams that have azelaic acid as part of their active ingredient include Azelex, Skinoren and AcneDerm. In plants, azelaic acid is a kind of distress signal that tells the plant to accumulate salicylic acid, the chemical that stops inflammation. In human skin, azelaic acid is a byproduct of a kind of yeast known as Malassezia furfur (also known as Pityrosporum ovale) that in large numbers can cause greasy seborrhea but that in small numbers actually protects the skin. What Does Azelaic Acid Do For The Skin? Azelaic acid is also an anti-inflammatory for the skin. It is especially helpful in reversing the reactions that form spots of excessive pigmentation as acne heals. It only targets the discolored areas on the skin, which makes it effective for dark skinned patients whose acne has left brown marks on their skin or for those who have melasma. Some products are made using 20 percent azelaic acid and 2 percent glycolic acid. This combination helps to exfoliate discolored skin cells, while decreasing melanin production on the skin. This helps to reduce hyperpigmentation faster. Its effectiveness can be compared to using to using 4 percent of hydroquinone, which has been the primary FDA approved method for treating skin discoloration since 1982. Many products designed for safe lightening of Asian skin use azelaic acid instead of hydroquinone, the skin lightener that sometimes leaves Asian skin black and blue. Azelaic acid is also used as a treatment for male pattern baldness and hair loss caused by polycystic ovarian disease (PCOS). Along with zinc and vitamin B6, it stops the conversion of testosterone into dihydrotestosterone, the form of testosterone that interferes with new hair production. There are no scientific studies specifically confirming the usefulness of azelaic acid for hair restoration, but there are widely accepted reports that azelaic acid can cause growth of unwanted hairs on skin that normally does not host hair. What Does Azelaic Acid Do For Rosacea? Until 2009, scientists knew that azelaic acid relieves rosacea without having a good idea of why it relieves rosacea. The traditional view of rosacea was that it is primarily a vascular disorder, reddening and thickening of the skin as the result of ruptures in tiny blood vessels in the skin. Researchers now understand that rosacea is also an immune system disorder, in which a group of white blood cells known as neutrophils is responsible for changes in the blood vessels in the skin that are observed as having rosacea. Neutrophils fight infection with inflammation. They release inflammatory chemicals known as proteases that dissolve collagen in the walls of blood vessels. This makes it easier for other white blood cells to reach infectious microorganisms in tissues surrounded by these blood vessels, but it also makes the skin above the blood vessels red and bumpy. If the immune system only dissolves capillary walls but does not send other white blood cells to remove the the dissolved proteins, they will coalesce into bumps that are seen when rosacea causes rhinophyma or “bumpy” nose. Azelaic acid is an antioxidant. Free radicals of oxygen are needed to activate the neutrophils that dissolve the proteins in the lining of capillaries that cause the redness and bumpiness associated with rosacea. Azelaic acid neutralizes these free radicals of oxygen, which essentially helps to reduce inflammation. It also neutralizes free radicals released when the skin is exposed to enough UV rays of sunlight to trigger rosacea but not enough UV rays to cause sunburn. It compensates for the skin’s inability to make an antioxidant called superoxide dismutase. It corrects some of the problems caused by a shortage of healthy fatty acids in the skin. And it reduces the reactivity of the skin to the presence of other organisms such as the Demodex mites that can infest the skin. Rosacea triggered by moderate sunlight can benefit from azelaic acid. Azelaic acid does many of the things that antibiotics do without actually attacking bacteria. Some antibiotics like tetracycline actually work by stopping the release of free radicals of oxygen that enable bacteria to release inflammation to attack the skin. These antibiotics “shut down” most bacteria but not all of them, leaving a few super-bugs behind to multiply. Azelaic acid leaves bacteria alone and instead focuses on the immune system itself, not creating super-bugs. It falls under dircabolyxic acids, treating rosacea by killing the bacteria that infects pores and minimizing the growth of bacteria in the follicle. It also reduces the formation of keratin, which is usually responsible for causing acne. It is quite effective for treating comedonal acne and inflammatory acne. This acid is also Keratolytic and comedolytic, which means that it causes the disordered growth of skin cells to return to normal. Azelaic acid is usually delivered to the skin in a cream. It can also be taken in a capsule form, but it is faster or more effective to use a cream. The problem until recently has been that creams of azelaic acid were not as effective as they could be. Today, it is sometimes combined together with hormonal therapy and oral antibiotics. Most skin treatments work better at lower pH. Alpha- and beta-hydroxy acids, for instance, really can’t do their job unless they are delivered to the skin in a form that keeps them at a pH of 3.0 to 3.9, sufficiently acidic to cause a little sting. Most azelaic acid products also have been formulated to keep the cream acidic while it on the skin. But as anyone who has rosacea knows, stinging itself can trigger rosacea attacks. It turns out that making azelaic acids less acidic makes them more effective. Dr. Blanka Havlickova, a dermatologist for Intendis/Bayer Health Care in Berlin, has studied the effects of using a lower, 15% concentration of azelaic acid in the form of a foam for treating rosacea. The foam is gentler on the skin. And as Dr. Havlickova reports, it’s not a miracle cure for rosacea. However, it’s about 25% more likely to cure rosacea than other more traditional forms of the chemical. Azelaic acid is most effective for the papulopustular form of rosacea, the kind that causes blotches across the cheeks and nose. About 30% of people who have any kind of rosacea get clear skin after using traditional azelaic acid treatment. About 40% of people who have any kind of rosacea get clear skin after using the foam. But if you are in that 10%, foaming azelaic acid might be a welcome relief. The bottom line of Bayer’s rosacea trials is that on average, foaming azelaic acid gets rid of 3 more red spots than regular azelaic acid. The averages, however, are misleading. In a few people, using foaming azelaic acid will result in completely clear skin. Side effects were minimal when the treatment did not work. Bayer continued clinical testing of the product since 2012 and in 2015 the Food, Administration and Drugs (FDA) approved the use of Bayer HealthCare’s Finacea (azelaic acid) Foam, 15 percent as treatment for mild to moderate rosacea. This was after Bayer carried out 12 week clinical trials on over 1, 300 people, between 19 and 92 years old. 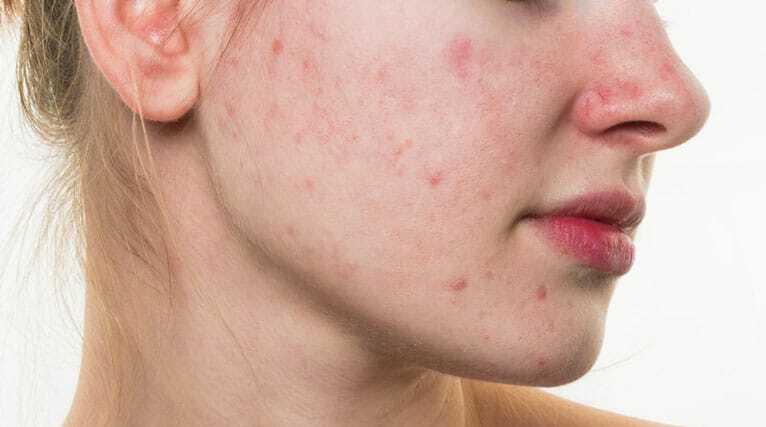 Of all the participants, 6.2 percent of the patients reported localized pain after using azelaic acid to treat rosacea, 2.5 percent experienced itchiness, 0.7 percent noticed dryness and 0.7 percent got redness of the skin. When using the product, the itchiness and redness eventually disappears once your skin gets used to the product, which can happen in as little as one week. One of the rare but serious side symptoms that you may notice after using azelaic acid is a rash. If you notice a rash, go see a doctor immediately. Since azelaic acid has a cream base, it may cause your pores to get clogged and result in blackheads. If you don’t see any considerable changes after using the treatment for two months, consider seeing a doctor, so that they can switch your treatment to something else. The first thing you should do is read the manufacturer’s instructions that have been written on the packaging or any leaflet that the treatment comes with. This will help you to understand more about what to expect and the side effects to be on the lookout for. Use the cream two times in a day, in the morning and in the evenings. However, if you have sensitive skin, start by applying it once a day and eventually increase this to two times a day after a few days of using the cream. 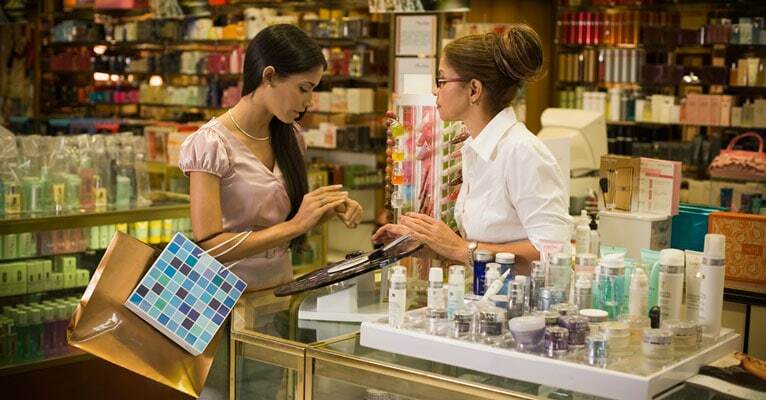 Know what you’re buying and using – reading labels and instructions is especially important in skincare products. Before applying it on your skin, wash your face with soap and water and then pat your skin dry using a towel. Wait for 20 minutes and then gently rub in the cream all over your face in a thin layer, while avoiding sensitive areas, such as the nose, mouth, eye and any open wounds. Applying too much cream on your face can result in skin irritation. Applying the cream on dry skin helps to reduce the redness and itchiness that may be experienced by some people. To make the most of your treatment, use it on a consistent basis, for at least one month before giving up on it. If you stop too early, you may not notice any positive effects. You will most likely observe a noticeable improvement on your skin after about two months of use. If you want to moisturize your face, wait until 20 minutes after you have applied the cream before you apply the moisturizer, to give the azelaic acid time to absorb into your skin. When you are wearing it during the day, you can wear it under sunscreen since the acid makes could skin more sensitive to sunlight. This product is a good option for people who cannot use retinoids or for people who want something stronger than retinoids. In the US and in some Asian countries, pure azelaic acid is only available as a prescription but it is can be bought over the counter in other countries. However, there are many products that contain this ingredient, along with others that work well together, such as Exposed Skin Care’s product line. Who Should Not Use Azelaic Acid? Got Acne? Try These Tips to Fix Your Skin! I have tried a lot of products for my rosacea, to include Dr prescribed and my face is ultra sensitive. I either have a severe reaction or no sign of improvement. Finally, I have found dermalmd rosacea serum that has to soothe and lightened the redness on my face significantly. I still have some dryness which I am perfectly fine with as long as my face is not bright red. Only been using for 3 weeks, so there is room for more improvement! Highly recommend!